NORTHAM Platinum is opening a new can of worms at the Eland mine near Brits that has the potential to revolutionise drilling. Partnering with Master Drilling, the company is going to try a new Italian-made boring machine that curve and twist and, it is hoped, follow the outline of the reef. The machine arrived in Durban days ago. “It’s segmented like a worm,” Northam CEO, Paul Dunne, told journalists at a media lunch on Tuesday. Designed for cutting hard rock, the worm is big, with a 5.5 metre-wide cutting head, and will be operated by a team of 21 men, who will be both on and around the machine. And Northam is hoping to land some big fish with it. “If it does work we’ll have the whole industry looking at it,” Dunne said. The R93m contract with Master Drilling has shared risk and reward structured into it. 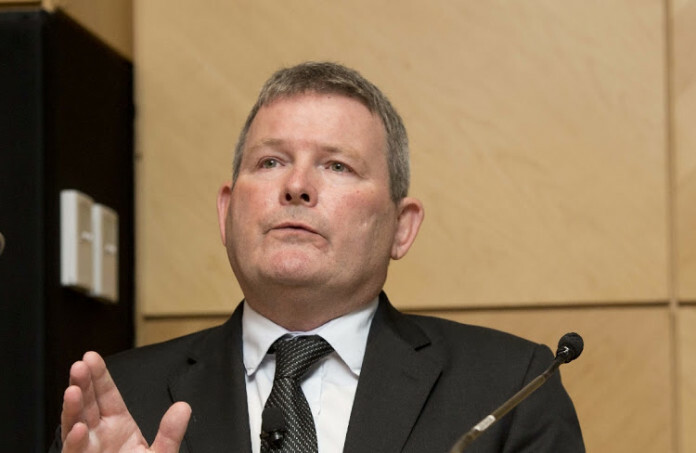 The worm is scheduled to begin its test run in June at Eland, a rhodium-rich mothballed mine that Northam bought for a bargain two years ago from Glencore for R175m. Rhodium’s rise has made such assets more viable. “If it doesn’t work, we’ll tell you. It’s new technology and I just want to make the point that we always try new things (in mining),” Dunne said. “If that worm works, we’ll get another one.” he said. That would be for work at Northam’s mechanised Booysendal operation. The technology is the latest in a move away from blasting for tunnel construction that is gaining traction in hard rock environments. Sounds like Mr. Dunne has some money to burn….